Natural ruby wide bracelet, wrap style. 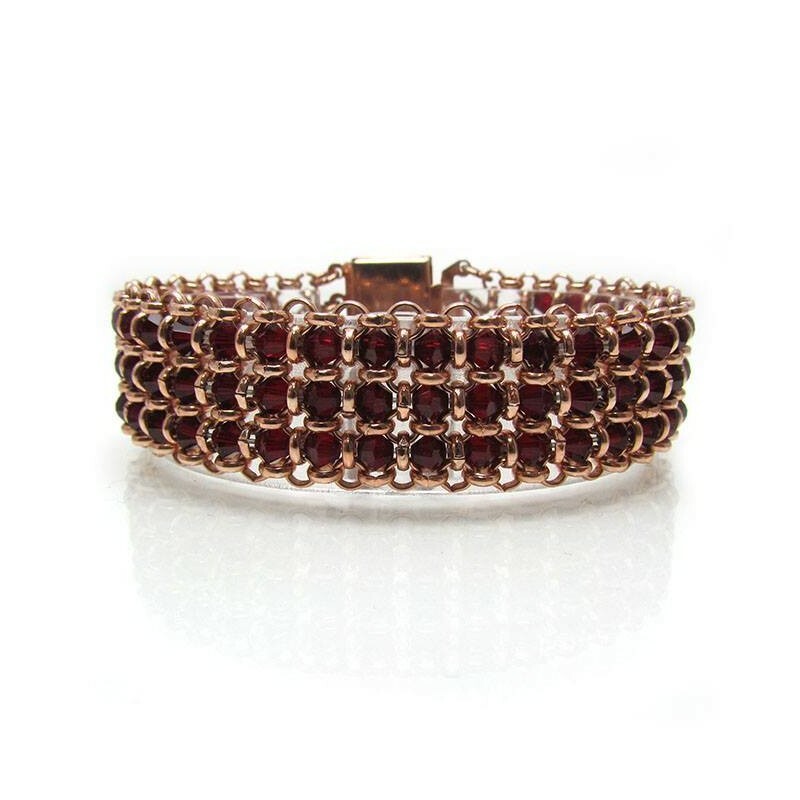 July birthstone bracelet made of 3 rows of Swarovski ruby crystals and rose gold plated links. 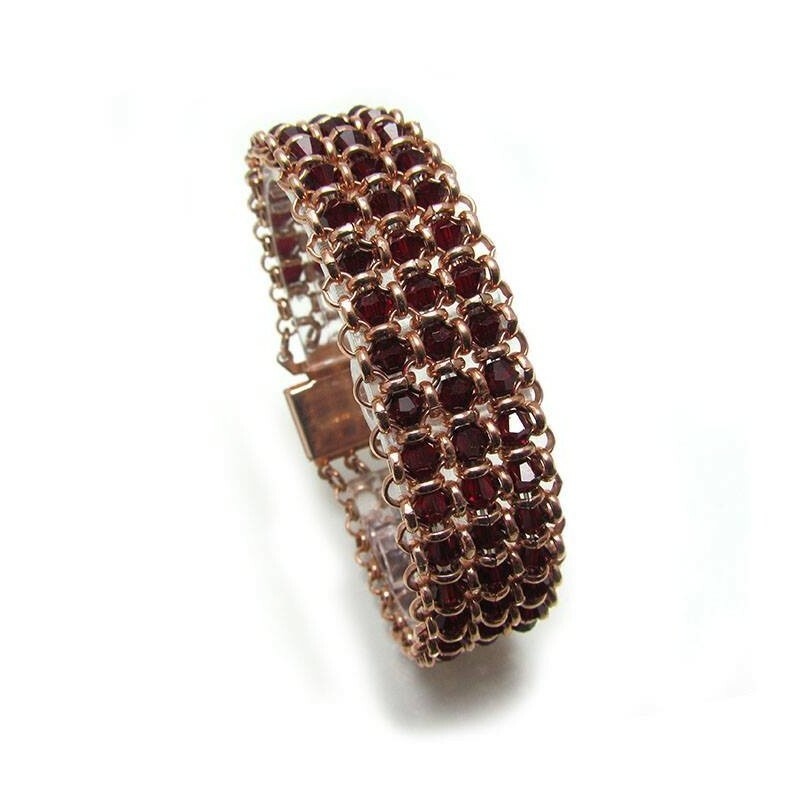 Ruby bead bracelet length: 19 cm/ 7.8" approx. 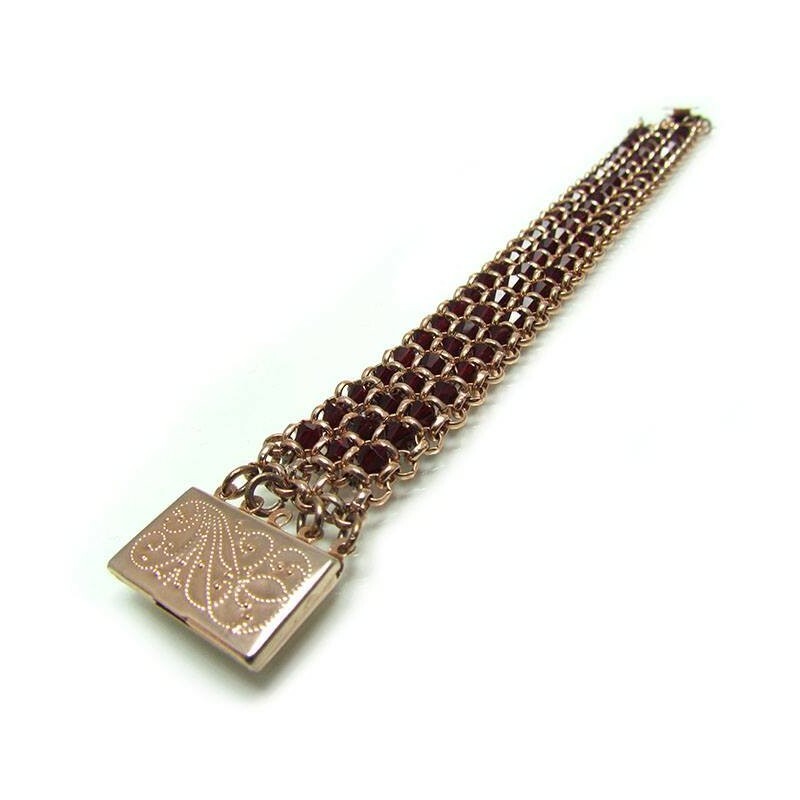 Natural ruby wide bracelet with rose gold links. 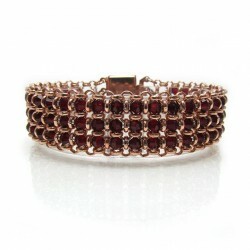 July birthstone bracelet, wrap style, suitable for Mother of the Bride, Groom, Bridesmaid Gifts or even everyday Wear.